In the UK, you can pass the driving test in an automatic or manual car. Depending on which car you passed the test in, will result in which licence type you gain. If you have an automatic licence, you will need to retake the driving test in a manual transmission car to gain a full UK licence that entitles you to drive both automatic and manual transmission cars. You will however not need to re-take the theory test, even if you passed your automatic driving test before the theory test was introduced. The UK theory test was introduced in July 1996. I Have an automatic Licence, Can I Drive a Semi-automatic Car? Generally, providing the vehicle you wish to drive has no manual clutch, you are entitled to drive it on an automatic licence. There are many variations of automatic transmissions however and if the vehicle in question involves some form of clutch to change gear and you are unsure if your licence permits you to legally drive, you should consult the Driver and Vehicle Standards Agency (DVSA) on 0300 200 11 22. Can You Drive an Automatic Car with a Manual Licence? If you passed the driving test in a manual car, you therefore hold a manual licence which entitles you to drive cars with either manual, semi-automatic or fully automatic transmission. CAN YOU DRIVE A Manual CAR WITH An Automatic LICENCE? It is illegal to drive a manual car if you are licensed to drive only automatics. If you are involved in an accident or caught by the police, you will technically be driving without a licence. Your car insurance will also be void, which would lead to significant legal penalties and may be void if you are involved in an accident. The DVSA permit certain countries that fall into designated areas to exchange a foreign licence without the need to re-take the UK driving test. Certain countries such as Canada for example can exchange a licence for a UK licence within 5 years of becoming UK resident although unless proof is obtained that you passed the driving test in manual transmission vehicle, then you will be issues an automatic driving licence only. If you are issued an automatic driving licence, you will need to take the UK driving test in a manual car to qualify for a full UK manual driving licence. 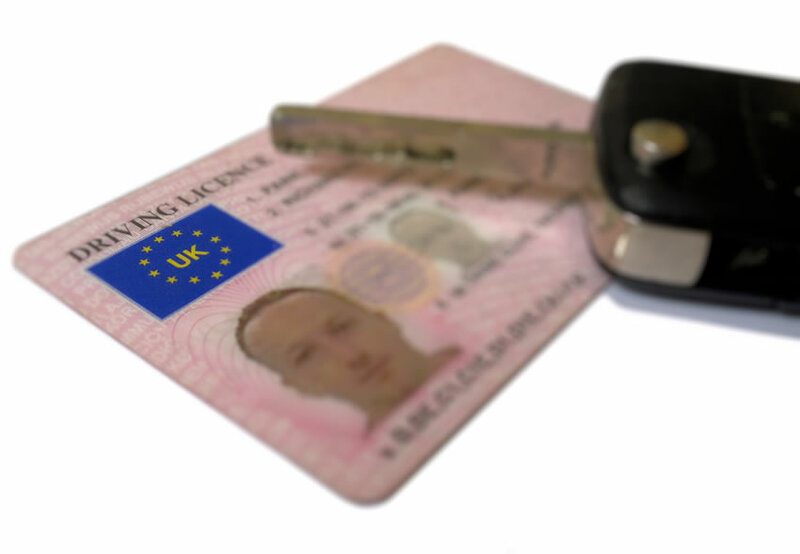 Areas that fall outside of the DVSA’s designated areas such as Indian driving licence are permitted to drive for up to 12 months on their current licence. Within this 12 months, a provisional driving licence will need to be applied for, take and pass the theory test and when the theory test has been passed, a practical driving test can be booked. For further information on obtaining a provisional driving licence and booking tests, visit the How to start learning to drive section. The Directgov website will provide information for which countries fall into the designated areas and those that don’t. If you have taken and failed the driving test in a manual car but have a full automatic licence, you are still permitted to drive automatic transmission cars. If you have difficulties using manual gears or a stick shift, then taking and passing the automatic driving test is easier than manual. Remember however that you will only be entitled to drive automatics which could be restrictive when renting cars, using courtesy cars and even purchasing car. There are many other factors that restrict automatic licence holders in the UK. The section Automatic or manual, which is better may provide advice on whether to take the automatic or manual driving test. Listed are tips and advice that should help you when exchanging your automatic driving licence for a manual. If you already have a automatic driving licence, then you know how to drive. The UK driving test can however be a little strict in many areas and bad habits can evolve into an almost certain test failure if not remedied. By taking driving lessons with a qualified driving instructor you will quickly gain confidence in using a gear stick (or stick shift) and will rectify any bad habits gained over the years. There is often many weeks waiting times for driving tests so passing first time is certainly beneficial. It is likely you will only need 3 to 5 hours of tuition and will save you time as you will likely pass first time. For a recap on the driving test or if you are new to the UK driving test, the section on How to pass the driving test will provide information on what is expected on the day. If you are in need of a driving licence exchange and need to book a test, bear in mind there are often large waiting times. It varies from test centre and can be from 2 weeks up to 12 weeks depending where you wish to take the test. Often during the winter season driving tests can be cancelled due to bad weather. This occurs most on early morning test bookings due to fog or ice on the roads. Booking your test later on during the day is less likely to result in a cancellation. The examiner will inform you at the test centre if it is cancelled and the DVSA will automatically assign you another test that may be many weeks later and at an inappropriate time. If you are desperate to take a driving test as soon as possible, you can check the DVSA website for cancellations and take that slot. If you are new to the UK, it may be worth checking out the test centre pass rates. Taking a driving test in a different area may gain slight benefit, especially if you are not familiar with the roads in the first place. It’s essentially the same licence, it just has a new category on it that entitles you to now drive manual as well as automatic. So no, you will not have to start again with the 2 year, 6 penalty point rule. Someone I know has an Automatic licence to drive cars but to drive his relatives Manual vehicles he would have to retake the test in a Manual car – would it be advisable for him to have a few lessons in the car first? Yes definitely. It’s surprising how quickly bad habits creep in after the test. So a few lessons with an instructor should get rid of those. It often depends on the insurance company as it’s down to their policy and their rules. Usually due to having a new entitlement on your licence you will be considered a higher risk and will have to pay more. Your no-claims should remain unaffected, but they’ll still likely increase your premium. I have just passed my test in a manual but had an automatic license for nearly 5 years my sister want to lean manual do I need to wait another 3 years before I can take her out in a manual car ? As it is a new category on your licence, you will need three years of manual driving experience before you can supervise a learner. Hey, I passed my driving test in automatic 2 years ago. But I want to start taking manual lessons – do I have to apply for a provisional licence again? No you do not need to apply for a provisional again, but the same rules will apply as any other learner when you’re behind the wheel of a manual including the use of L-plates. You will need to get learner driver insurance for when you’re driving the manual and all the rules (L plates etc) apply when you’re driving the manual. Be cautious however, once you have passed the manual test, you will be classed as a new licence holder by insurance companies and you may find your premium significantly increases. How much of an increase depends on how much no claims you have / age of auto licence. Might be worth calling them to get the specifics. Hi I have an automatic licence but just passed manual are the dates on my driving licence going to change. I will soon be attempting to pass my test in manual after driving automatic for 4 years. I will take some lessons beforehand. Once I have passed when I notify my insurers are my rates likely to change? Once you pass the manual test, you will be classed as a new licence holder, so depending on whether you have no claims discount and the fact that you will be classed as a new licence holder it is likely to change. If I have a automatic licence and want to upgrade to a manual, can I drive my partners manual car with him in the car? He has had full driving licence for over 10 years. And what would be the restrictions/requirements? Hi I have had an auto licence for 12 years, I want to now drive manuals (my partners car) so I’m aware i wont need to do theory, and that I can learn in my partner’s car, and also do my test in his car. But how do I go about being insured? Hes spoke to his insurance (hastings) I’ve spoke to mine (aa) they’ve both said i wont be insured to drive it as i only hold a auto licence.. aa said I’d need a specialist insurance? You would effectively be a learner when driving the manual, so you’d need learner driver insurance. I’m not sure why your insurance providers can’t combine your existing insurance to allow you to continue to drive your automatic and to learn in the manual, but if they can’t then you’ll need to take out a separate policy for learning. Be a little cautious however, when you pass your test and upgrade your licence, your insurance provider may classify you as a new driver and your insurance may rise. It’s usually worth checking this.